It was sad to hear yesterday’s news of the passing of Michael Foot, one of the countries last true socialists. 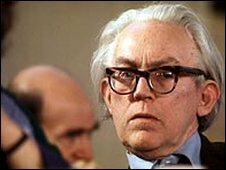 Michael Foot was a conviction politician that rather unfairly took a lot of stick from the gutter press when he was leader of the Labour Party. I think he was ridiculed by certain papers because of is great intellect, something your average gutter hack isn’t capable of. A tribute from Tony Benn, the last true socialist.